Purpose For the quantitative determination of mouse vascular endothelial cell growth factor (VEGF) concentrations in serum, plasma, tissue homogenates, cell culture supernates. Specificity This assay has high sensitivity and excellent specificity for detection of mouse VEGF. Protocol This assay employs the quantitative sandwich enzyme immunoassay technique. Antibody specific for VEGF has been pre-coated onto a microplate. 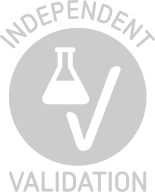 Standards and samples are pipetted into the wells and any VEGF present is bound by the immobilized antibody. After removing any unbound substances, a biotin-conjugated antibody specific for VEGF is added to the wells. After washing, avidin conjugated Horseradish Peroxidase (HRP) is added to the wells. Following a wash to remove any unbound avidin-enzyme reagent, a substrate solution is added to the wells and color develops in proportion to the amount of VEGF bound in the initial step. The color development is stopped and the intensity of the color is measured. Product cited in: Xu, Feng, Chen, Zhu, Wu, Chen, Li: "Taxol alleviates collagen-induced arthritis in mice by inhibiting the formation of microvessels." in: Clinical rheumatology, 2018 (PubMed). Quan, Liang, Li, Dou, Liu, Bai, Luo, Li, Kang, Cao, Yang, Jiang, Dong: "LncRNA-AK131850 Sponges MiR-93-5p in Newborn and Mature Osteoclasts to Enhance the Secretion of Vascular Endothelial Growth Factor a Promoting Vasculogenesis of Endothelial Progenitor Cells." in: Cellular physiology and biochemistry : international journal of experimental cellular physiology, biochemistry, and pharmacology, Vol. 46, Issue 1, pp. 401-417, 2018 (PubMed). Xi, Shi, Jiang, Minuk, Cheng, Peng, Gong, Xu, Wang, Yang, Yue, Wang: "The effects of Tao-Hong-Si-Wu on hepatic necroinflammatory activity and fibrosis in a murine model of chronic liver disease." in: Journal of ethnopharmacology, Vol. 180, pp. 28-36, 2016 (PubMed). Panchenko, Popovich, Trashkov, Egormin, Yurova, Tyndyk, Gubareva, Artyukin, Vasiliev, Khaitsev, Zabezhinski, Anisimov: "Biomarkers of aging, life span and spontaneous carcinogenesis in the wild type and HER-2 transgenic FVB/N female mice." in: Biogerontology, 2015 (PubMed). Zhang, Yang, Cai, Jin, Wang, Yu: "Multiple antigenic polypeptide composed of heparanase B‑cell epitopes shrinks human hepatocellular carcinoma in mice." in: Oncology reports, 2014 (PubMed). Zhang, Yang, Wang, Ru, Fan: "Synthesized multiple antigenic polypeptide vaccine based on B-cell epitopes of human heparanase could elicit a potent antimetastatic effect on human hepatocellular carcinoma in vivo." in: PLoS ONE, Vol. 8, Issue 1, pp. e52940, 2013 (PubMed). Cheng, Jiang, Hu, Lv: "Potential mechanism for endothelial progenitor cell therapy in acute myocardial infarction: Activation of VEGF- PI3K/Akte-NOS pathway." in: Annals of clinical and laboratory science, Vol. 43, Issue 4, pp. 395-401, 2013 (PubMed). Cheng, Hu, Lv, Ling, Jiang: "Erythropoietin improves the efficiency of endothelial progenitor cell therapy after myocardial infarction in mice: effects on transplanted cell survival and autologous endothelial progenitor cell mobilization." in: The Journal of surgical research, Vol. 176, Issue 1, pp. e47-55, 2012 (PubMed).